The Ranch at Eagles Nest are mostly single-family homes near the clubhouse of the 18-hole public golf course called the Ravens at Eagles Nest. These homeowners enjoy sweeping views, and enjoy all the amenities of the Eagles Nest neighborhood as well as easy access to the golf course. The Gore Range is in view from Buffalo Mountain to the sharp peaks of the Eagles Nest Wilderness area from the open, rolling hills of the single-family home neighborhoods that surround this and a few other small townhouse and duplex groups like this one. 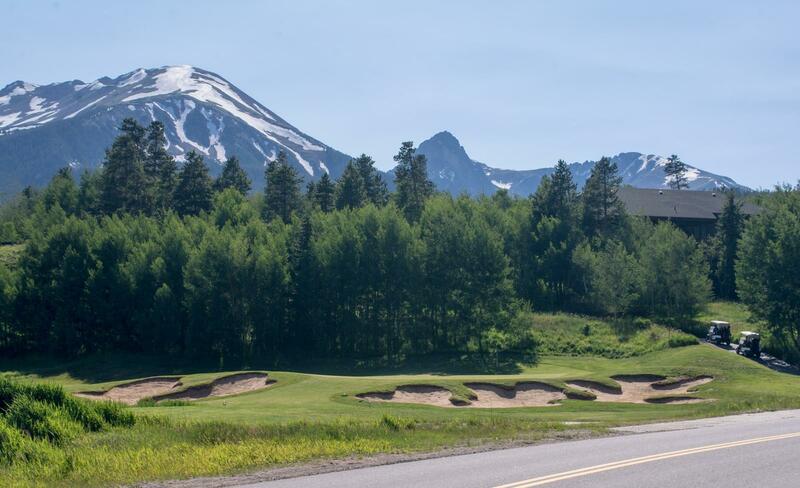 In addition to golf: The Ravens Golf Club at Eagles Nest - or generally called Eagles Nest - this neighborhood enjoys the amenities of the clubhouse, and cross-country ski trails in the winter. A wilderness area of the same name lies close by, to the west, and climbs up and over the Gore Range. Trailheads can be found nearby. The town of Silverthorne has a large rec center with several pools an indoor track and gym. Square Footage: 2,104 to 2,540 sq. ft.
From I-70 drive north about 2.5 miles through Silverthorne to Golden Eagle Drive. Take a right on Golden Eagle, then quickly right on Kestrel Lane, at the top end of this lane is a needle's eye loop and these are the Ranch - homes at Eagles Nest.